Daddy Spencerâs new CD is aptly titled. Ours is not a perfectly manicured garden where flowers are watered, pruned and well taken care of. Our industry is out there in the open to take care of itself. Hence wild flowers sprout everywhere. But this here is a beautiful flower that grew from the concrete jungle. 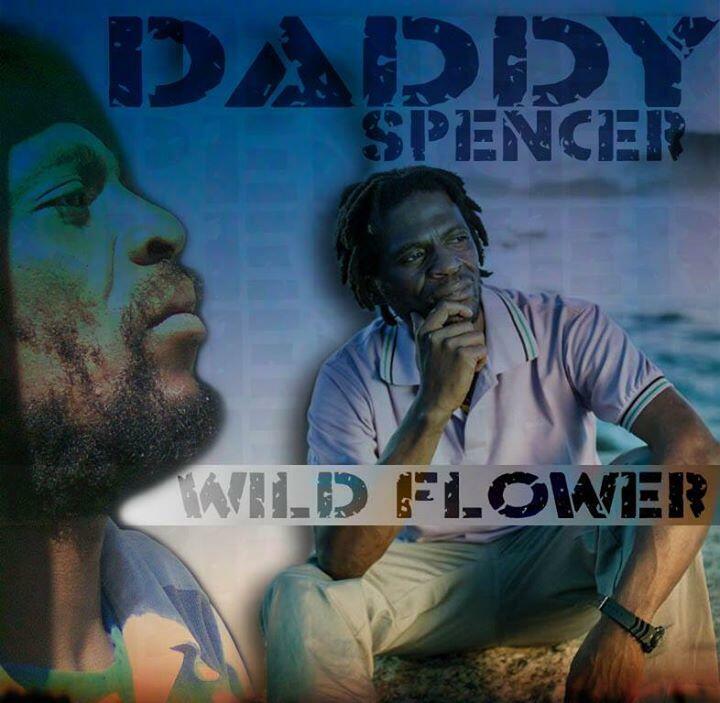 Wild Flower, is the latestÂ offering by Mbulelo Mato aka DaddySpencer or Daddyology. The one main thing that stuck to mind when listening to the CD was how DaddySpencer is here to stay, he has been there from the beginning and he is in for the long haul, not for the fame. The CD is a collection of songs recorded in a period of over three years. He worked with several producers from around the world, from Brazil to Zimbabwe.Â This variation you can feel right throughout the CD. It opens up with Mount Zion. Â It starts off with a sombre Daddayspencer wondering or asking or warning us (or all of the above) if we ready for Mount Zion.Â Then he brilliantly joins forces with the Gugulethu Tenors, a male quartet from Cape Town (probably a first in Reggae History in South Africa) to intensify the melodic mysterious tune. Itâs a beautiful haunting track that lingers on for a long while.Â It is clear that there was chemistry and magic brewing among the Swedes and Artists, as this is AÂ Shiloh Ites Production from Sweden. our neighbourhoods and at the same time all the civil wars going on all over,’ he explained. Hush a dancehall track that is up tempo. Proving how versatile he is and how he embraces all the genres within Reggae. Wild Flower, the title track, has the distinct Rebelstone Musik Lab signature on it. It has that unique Kaapstad feel to it, and the autotune is kept to a minimum, which makes it such a pleasurable listen. I Love you Girl. Ofcourse how can Rasta do album without showin sum love to the sisters. This one is for the Ladies, a dancehall track from the laboratory of Rebelstone Musik. Then it closes off with the opening track Mount Zion, this time its aÂ Live recordingÂ with the Gugulethu Quartet. A special treat. All in all a well rounded and balanced album, the production is flawless, the tracks well selected. Â As stated earlier, Mbulelo Mato is here for the long haul. He got experience and wisdom and ofcourse Jah by his side.Â We will be seeing/earing more from him, and this year especially seem to be the year he will get his shine, because he works hard on his craft. This album is a pleasure to listen to. It makes nice background music while you working or doing whatever. It will get your tempo high, get you to move a bit, then it will get you to sit and ponder a bit, or just make you feel irie. Either way, it evokes emotion. Wild Flower is available in stores at The African Music Store on Long Street, and at Yardie Trends in Observatory, Cape Town. Â Soon it will be available for digital download.